Other subjects to be discussed include patient tolerance levels, product weight & conversions, regulatory enforcement, facility requirements, cultivation & production, store rules and responsible vending. Medicinal cannabis dispensary technicians are projected to be in higher demand as the Puerto Rico Health Department has resumed the approval of licenses for such establishments with last week’s authorization of an additional five dispensaries. To help meet such demand, Puerto Rico Legal Marijuana will celebrate on May 6 an advanced course for dispensary technicians, or “budtenders,” with speakers coming in from Colorado exclusively for the event. “We had anticipated the Health Department would resume the approval of dispensary licenses and for that reason incorporated this seminar on our calendar. We are projecting a sharp increase in job opportunities for qualified medical cannabis technicians,” said Puerto Rico Legal Marijuana President Goodwin Aldarondo. “In the coming months, the Health Department will approve up to 168 licenses for new dispensaries as new patients register for the program. Last week, the agency approved five new dispensaries, which will join the seven dispensaries that are already open,” he said. Dispensary technicians are required to have a special license from the Health Department and to that effect need to undergo specialized training to correctly dispense medicinal cannabis to authorized patients in coordination with their doctors. Confirmed speakers from the state of Colorado include Trichome Institute President Max Montrose and IComply Chief executive Officer Mark Slaugh, who will present on different cannabis delivery methods such as cannabis flower vapor, edibles, hash & concentrates, sublinguals, transdermals, topicals, and suppositories. Michael Soler will cover medical aspects while Aldarondo will cover legal aspects. “It is of outmost importance for our nascent medicinal cannabis industry to carefully study and adopt where possible the best practices from places that started this process earlier and that have been successful, such as state of Colorado,” said Aldarondo. 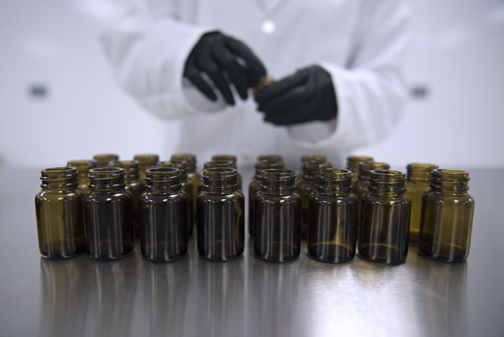 This weekend’s Advanced Dispensary Technician Course will be offered completely in English, although it will be presented in Spanish during the months of June and July. The six-hour seminar will take place at the Polytechnic University of Puerto Rico in Hato Rey, from 8:30 a.m. to 4:30 p.m. Attendees will receive a Dispensary Technician Certificate, required by the Health Department to work as medicinal cannabis technician. Puerto Rico Legal Marijuana is a nonprofit organization with the goal of educating others about the legal considerations related to medicinal cannabis in Puerto Rico and providing seminars for the professional development of any person interested in joining the cannabis industry. Hey Buddy!, I found this information for you: "PR Legal Marijuana to train cannabis dispensary techs". Here is the website link: https://newsismybusiness.com/marijuana-cannabis-dispensary/. Thank you.